Sim-racer Forza Motorsport is debuting on PC next week, with Forza Motorsport 6: Apex coming to Windows 10 in Open beta, Microsoft and developer Turn 10 Studios announced today. Forza isn’t the only racing game on the PC. See our list of the best racing gamesif you want to get your wheels spinning. 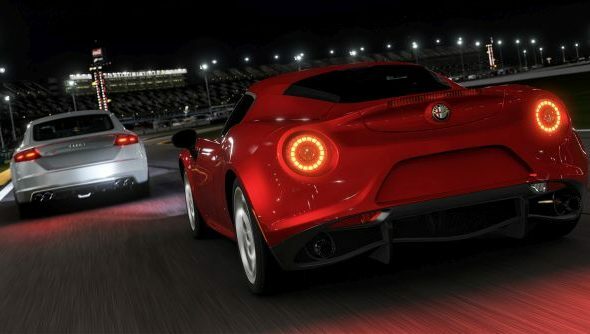 This does mean you’ll need Windows 10, but those of you getting in the door early for the open beta will help Turn 10 “to improve the game’s performance across a diverse selection of hardware setups.” Turn 10 will be supporting the game intensely during the beta and players “can expect to see updates and improvements to Forza Motorsport 6” that includes the ability to disable VSync and crucially, wheel support. I’m a bit leery of the Windows 10 version of Forza Motorsport 6: Apex generally though, not just because the name is really long and it’s a lot of effort to type it for this news story, but also because it’s billed as “a curated single-player tour” of the series’ best content that doesn’t feature any multiplayer component. You can compete against the cloud-based ghosts of other drivers, but a racing game without online multiplayer leaves me with doubts about longevity. You won’t be able to play with the series livery designer either, with Microsoft picking a curated collection of livery designs for you there, too. Don’t stress too much though – it’s a free to play game, so you can get stuck into it and see if it’s for you before you splash the cash.